In mission work, all the things that have to be done in order to actually minister or care for someone can be overwhelming. Within Back2Back, we often talk of our personal bullseye, or our unique focus within the ministry. Obviously Back2Back’s bullseye is to impact and care for the orphan, but that does not mean that everyone involved with Back2Back is “directly” involved with the orphan. Many people are “indirectly” involved in impacting the orphan, serving in critical ways. When developing a site in construction, the first thing we often start with is the infrastructure (ie: roads, underground, utilities, sanitary lines, property walls, etc.). Although all these things are crucial in supporting the finished product of the building, many times they are not readily apparent once the building is completed and occupied. Recently, I have been thinking of all the people and things that support the ultimate goal of impacting the orphan. I’m grateful that God’s plan is for us to be a body of believers, each person utilizing their unique gifts and talents for His kingdom, whether this is the people in the mission field or the people sending the missionaries. 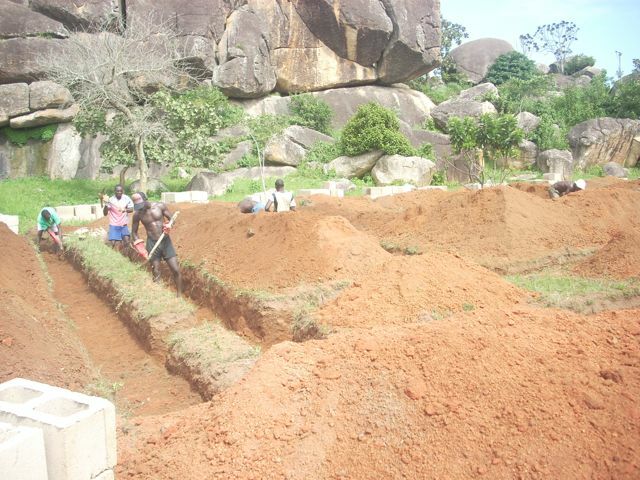 In Nigeria, I am constructing the Oasis Education Center, where new Back2Back staff member, Theresa Reed, will spend time tutoring underprivileged children in the Kisayhip Village. She will be “directly” impacting the orphan, but to make this possible, there is a great deal of upfront development of an infrastructure required. I want to break it down to show all the people who are involved in making an impact on the orphan – the many parts affecting the orphan child as a whole. -Back2Back US staff member, Brian Bertke, shares the vision of the Education Center to the youth at the Vineyard Church and the Daniels family in Cincinnati. -This church and family caught the vision and they were able to raise the funds for us to begin building the Education Center. 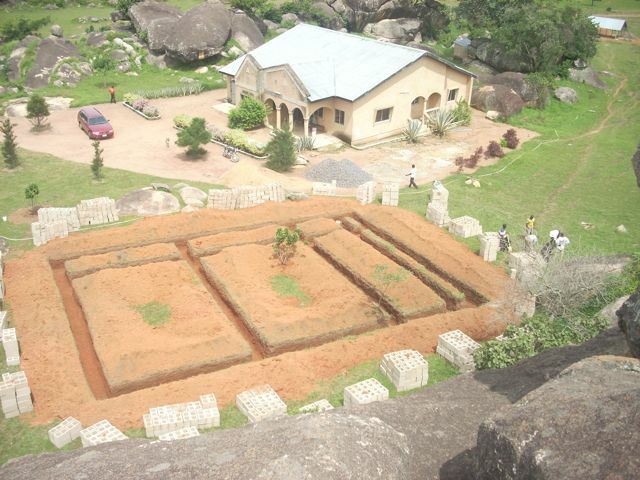 -People in the US are supporting the Back2Back staff members, enabling them to live and minister in Nigeria. 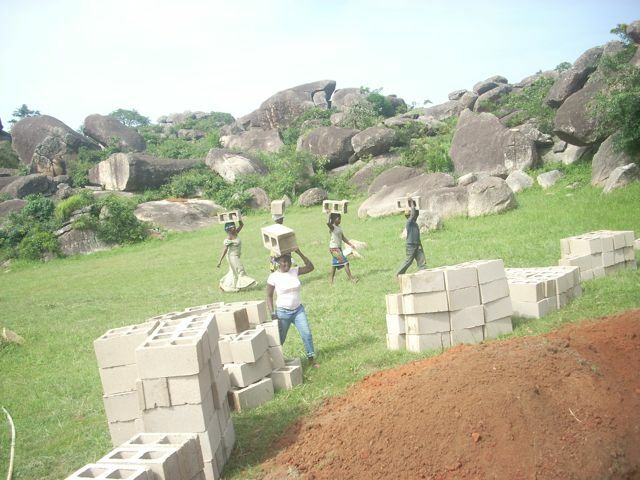 -Back2Back staff serve in Nigeria and begin to build the Education Center. -Back2Back US staff communicates the ongoing need, keeping supporters and advocates updated, and helps with continued fundraising efforts in the US. -Back2Back support staff, such as drivers, assist in getting materials to the site for the building. 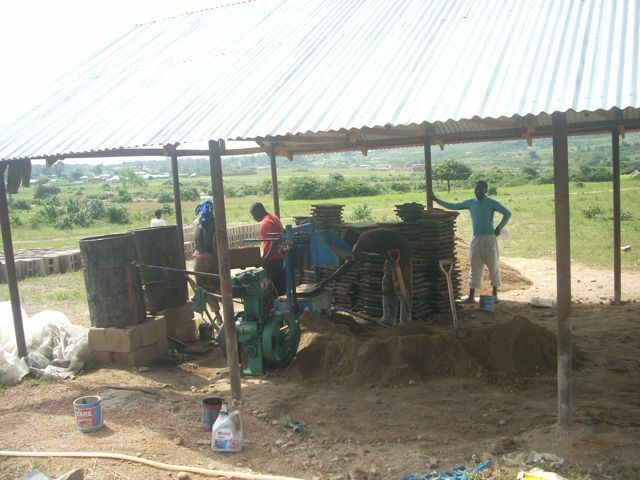 -Supporters donate money to buy a block machine to help make quality blocks for the project. -Back2Back employs local block makers, masons, and carpenters from the village to construct the Education Center, providing the people in the village with an opportunity to earn an income. -The building is completed and Theresa Reed will directly impact the orphan by helping supplement their education as a teacher. This entry was posted on August 20, 2010 at 11:12 am and is filed under Nigeria. You can follow any responses to this entry through the RSS 2.0 feed. You can leave a response, or trackback from your own site.